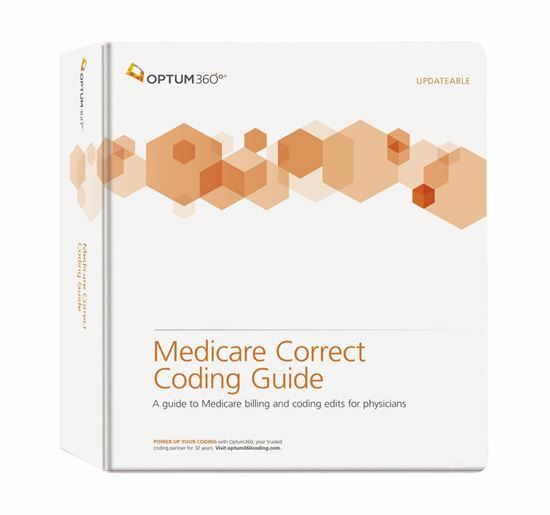 Medicare Correct Coding Guide is a comprehensive manual that provides medical practices with correct coding policies, CCI edits, and the Medicare Physician Fee Schedule—all in one resource. Always up-to-date and easy to use. This reference can help improve coding accuracy, reduce unbundling errors and the chance of audit. Optum360 Edge -CCI edits, Medicare RVUs and Medically Unlikely Edits (MUE). Access it all in one easy-to-use listing. Optum360 Edge - Unique edit icons are included.Instantly know why a code combination will not be paid separately. Quarterly updates for one full year.Stay current as CMS implements changes. Summary of Changes table.Quickly identify changes to your most frequently used codes.